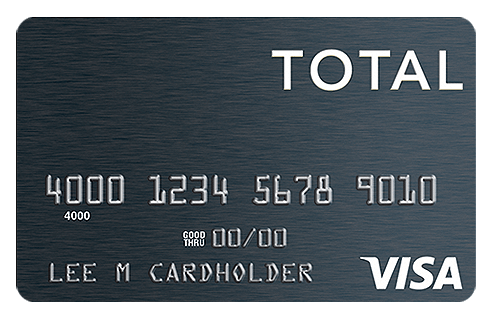 The Total Visa is a perfect tool for people who have faced financial challenges and struggled to get credit in the past. Complete our short application now and get a response from us online in seconds. 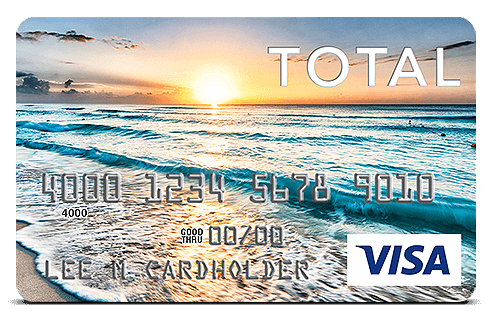 Total Visa® accepts applications from people who are interested in looking for a true Visa® credit card that does not require perfect credit for approval. People who want a fast application process with a response provided in seconds. 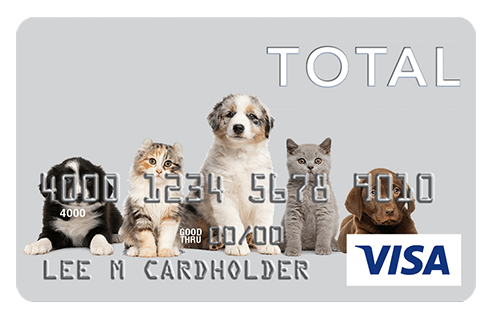 People who want reporting to all three credit bureaus. 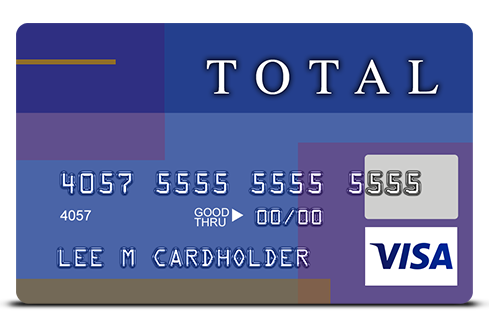 If approved, simply pay a $89.00 Program Fee** to open your account and access your available credit. **See Rates, Fees, Costs, and Limitations page for additional details. Minimum one phone number required. SECURE online application. Only takes a few minutes to complete. Review the terms and conditions and submit your application for your genuine Visa credit card. Get a response in as little as 60 seconds. 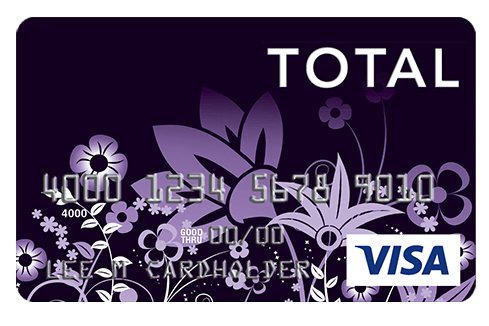 The Total Visa Card is issued by The Bank of Missouri pursuant to a license from Visa U.S.A. Inc. 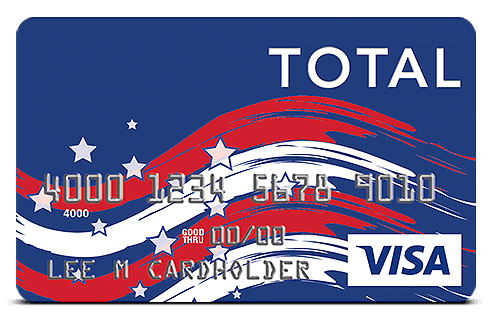 Obtaining Your Card: The USA PATRIOT Act is a federal law that requires all financial institutions to obtain, verify and record information that identifies each person who opens a Card Account. 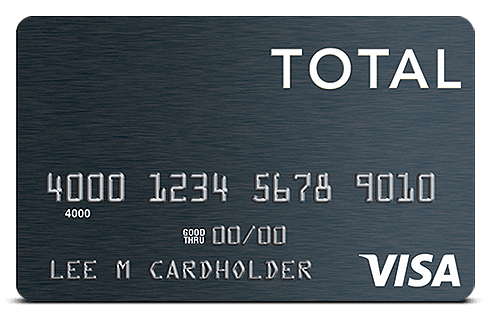 What this means for you: When you open a Card Account, we will ask for your name, address, date of birth and other information that will allow us to reasonably identify you. We may also ask to see your driver's license or other identifying documents at any time. 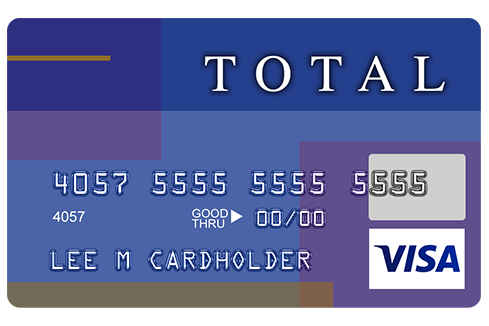 *Card use subject to available credit; for security reasons, card may not be used at automated fuel pumps, for gambling transactions or at merchants outside the United States.